Older people with learning disabilities can find it hard to be part of their local communities. They may find it hard to meet people and be isolated. They may find it hard to get out and enjoy the things they want to do. Ambition for Ageing has funded a research project so that older people with learning disabilities will find out why and help find solutions. 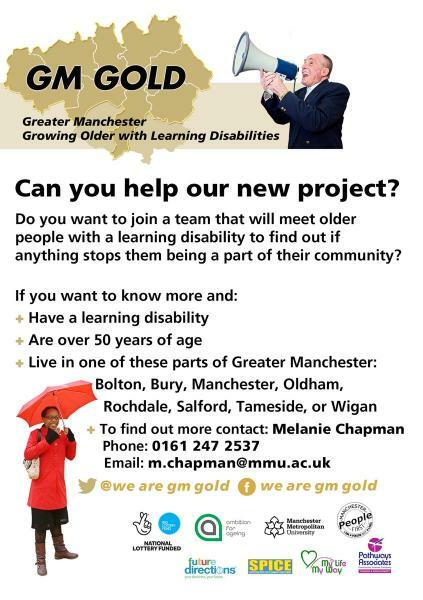 The project is called Growing Older in Greater Manchester (GM GOLD). This project is exciting as it will be done by older people with learning disabilities. The project is being carried out in Bolton, Bury, Manchester, Oldham, Rochdale, Salford, Tameside and Wigan. The project will finish at the end of March 2020. A team of older people with learning disabilities will get training and support to do the project. The team will find out what stops other older people with learning disabilities being part of their communities. What the team finds out will inform a campaign for change. 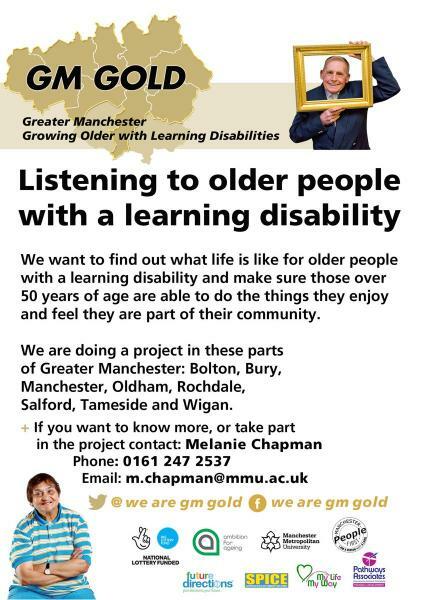 The team will tell people, groups and organisations what they can do to help older people with learning disabilities feel they are part of their communities.